“You have made the right choice. 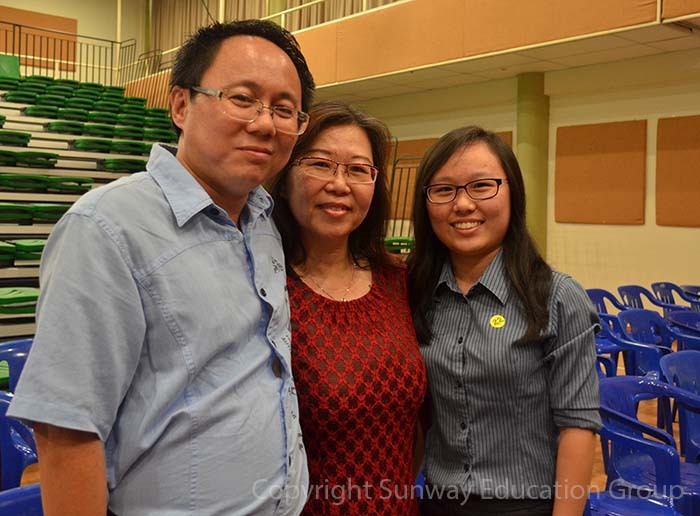 Make the best out of the one and half years and complete it with no regrets,” said A-Level Award Winner Dee Ying Ling to future Sunway College A-Level students. 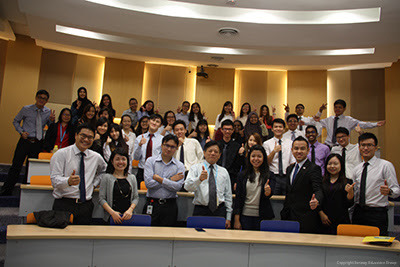 The Sunway Education Group hosted 30 graduate students (also known as Trekkers) from the Harvard Kennedy School, Harvard Business School, Harvard Graduate School of Education, MIT Sloan of Management and the Tufts Fletcher School of Law and Diplomacy from 1 January to 13 January 2016 for the Singapore – Malaysia segment of the Asia Leadership Trek (ALT). The Trek which covers five (5) destinations across Asia in 27 days – China, Singapore, Malaysia, Cambodia and Bangladesh, is exploring the theme ‘Thriving Asia: When is Asia Set to Become the World’s Powerhouse?’. 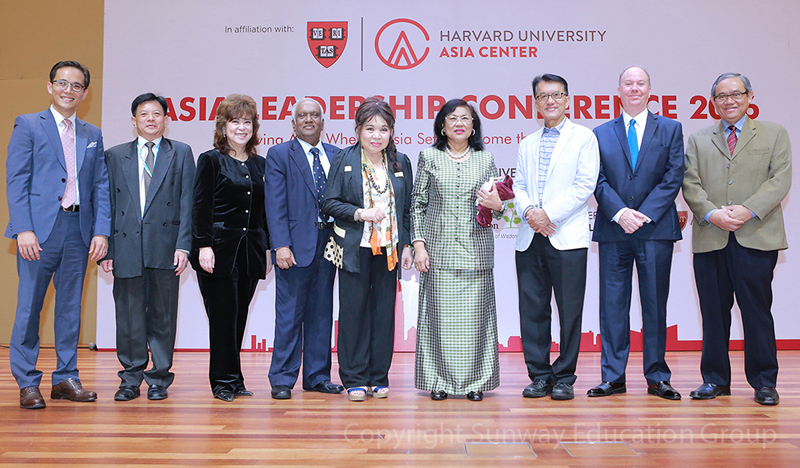 In conjunction with their stopover in Kuala Lumpur, the Asia Leadership Conference 2016 with the same theme was held at Sunway University. Sunway TES Centre for Accountancy Excellence conducted a 5-day Audit Simulation Training for ACCA students from 14th to 18th December 2015. 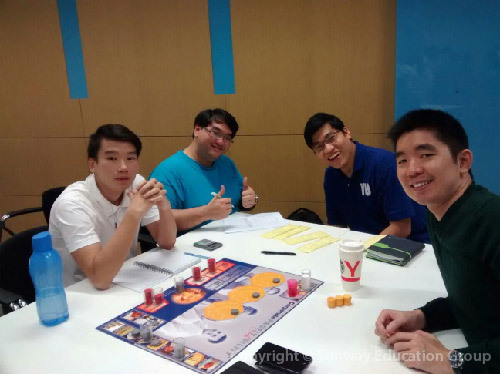 This is the first and only real-world audit experience embedded within classroom education in Malaysia. It’s practical audit training that incorporated 30 students of Audit & Assurance (F8 subject) were nominated to participate in this training. A professional consultant were invited to impart an Audit Trial practice through a one-day Audit Simulation Workshop on 14th Dec to the students. On the 2nd to 4th day, students commenced their audit work based the knowledge acquired through the theory studies of F8 subject as well as the Audit Trial Workshop. On the last day, 18th Dec, Audit Directors and Managers of Big 5 firms included BDO, DELOITTE, EY, KPMG and PwC, were scheduled to meet with students to review their audit working papers to conclude the training on participating this Audit Simulation Training, the 30 students were given opportunity to secure pre-employment where they would be receiving job offer upon completion their ACCA studies. A half day workshop of the highly acclaimed board-based business simulation programme for 24 VUBB & VUMBA students and 6 academic staff. The aim of the simulation programme is to bring together elements of strategy, marketing and financial management so that students are able to appreciate the complexities of managing a company in the real world. The event took place on 5 Dec, 2015 from 9am - 1pm in Function Room 5, Graduate Center, Bandar Sunway. It was truly a night to remember as success lingered in the air for our Australian Matriculation (AUSMAT) graduates from Sunway College, who after spending months of hard work, they ended it by having a blast at the annual AUSMAT Night. The ambience and the theme ‘Stars of AUSMAT Reign’ was indeed a perfect match. Many awards were given out during the night in recognition of their academic achievements. These included the Best Subject Awards to acknowledge the top scoring student of each subject, Shield of Excellence for the student who not only excelled academically but contributed significantly towards program events and the most notable award was the High Academic Achievement Award for the student with the overall highest ATAR score based on the best four subjects in the WACE school-based assessments. 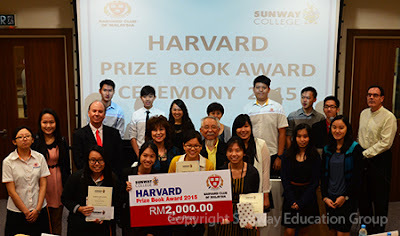 Marking the fifth year of collaboration between Sunway College and the Harvard Club of Malaysia, four students were awarded the Harvard Book Prize at a small ceremony recently. The Harvard Prize Book is one of the most prestigious awards for outstanding Pre-University and Sunway International School Year 11 students. The tradition of the Harvard Prize Book Award was started way back in 1910 with the aim of attracting outstanding young individuals to study at Harvard College. The four awardees, Hii Chun Yuan and Gan Ye Zhuan from the A-Level programme, Lok Huey Ning of the Canadian International Matriculation Programme (CIMP) and Melanie Yap Ann Ann of Sunway International School were chosen through a stringent selection process. 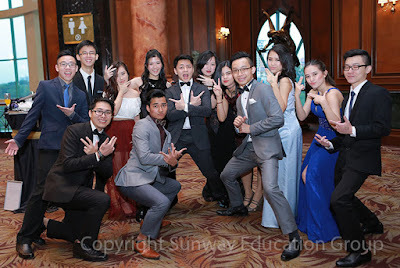 They each received RM 2,000 cash prize, a copy of the Harvard Prize Book, an opportunity for internship at the Harvard Club of Malaysia throughout their duration of study at Sunway College, and a certificate endorsed by the Harvard Club of Malaysia. 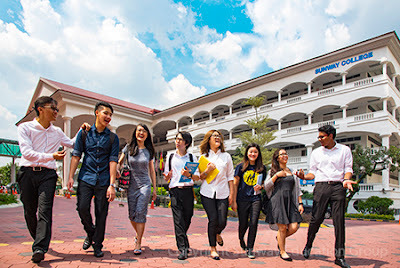 Sunway College today is a popular household name as a private higher education institution and as a provider of internationally recognised pre-university, diploma, professional accounting programmes as well as undergraduate twinning degree and MBA programme with Victoria University, Australia. It is most importantly renowned for its holistic approach in providing well-rounded education. 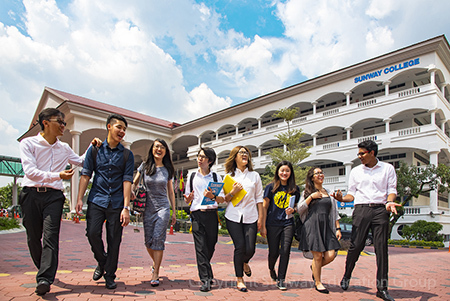 In its wide range of internationally recognised programmes of study, Sunway College caters to the different learning styles and ambitions of students from diverse backgrounds and cultures. 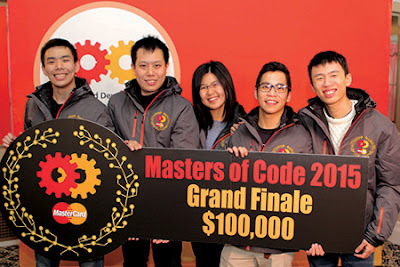 From the winning project ‘One Small Step’ to ‘MoneyRemaid’, the Malaysian team who emerged as the regional champion in Singapore in early 2015 was recently crowned champions of MasterCard’s Inaugural Masters of Code Global Hackathon Series in Silicon Valley, U.S. Two of the Masters of Code were graduates of Sunway University and Sunway College. The team of five comprised of Leonardy Kristianto, Lim Jay Ching, Wong Gwen Yi, Daniel Lim Fung Hsing, and Chew Kean Ho. Leonardy, 20, recently graduated from Sunway University’s BSc (Hons) Information Technology while Jay, 19, graduated from Sunway College’s A-Level in July 2014. They could not stop being in awe of their enormous victory at the Grand Finale held on December 5 – 6 in San Francisco, California.